Why are all-steel waiter's corkscrews so hard to find? 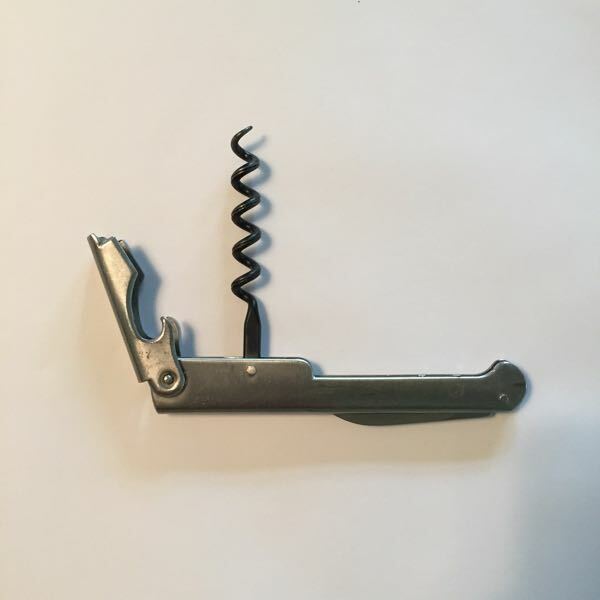 Visit any liquor, drug, or grocery store in the land and you will probably find on offer only junky corkscrews with plastic handles. Finding an all-steel example is much more difficult. When seeking invaluable solutions, the Invaluablist often looks past plastic. While many useful items are made of it, plastic tends to fall short of other materials with respect to durability. Yes, the plastic itself will probably last an eternity, but too many plastic products have shorter functional lives than their metal competitors. Another issue with many plastic solutions is they frequently are designed to be discarded, not maintained or repaired. 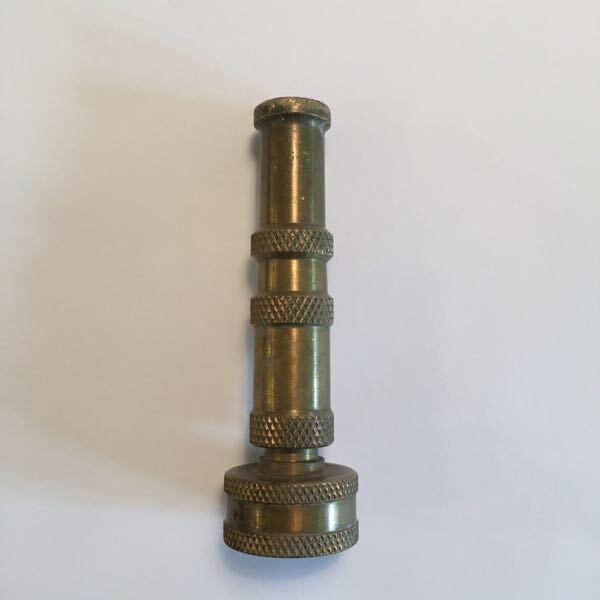 Whereas metals in particular can often be welded or replaced with the removal of a few fasteners, molded plastic components often cannot be so easily repaired. Very often, multiple parts are molded together into plastic, un-fixable agglomerations. Rejecting and avoiding things-disposable—especially plastic things-disposable—is an invaluable hobby. The Invaluablist's search for the un-embellished excludes many plastic products because of the material's ease for being formed into stylized designs. Plastic is where you will find all sorts of products molded into cartoon characters and the like. Plastic is also the realm of simulated wood grain. (Need I say more.) Related, where one finds plastic replacing or being appended to otherwise invaluable designs, one finds enhancetropy. Enhancetropy is the death knell of invaluablism for many products. In some cases, plastic is the material of choice for fundamental reasons. A saltwater tacklebox, for example, comes immediately to mind as something that might well be preferred to be made of plastic. The advantages of plastic medical supplies are obvious too. And drinkware by the pool should certainly be made of plastic. But, generally, why specify plastic when more natural wood, metal, hide, or other non-plastic solutions exist. 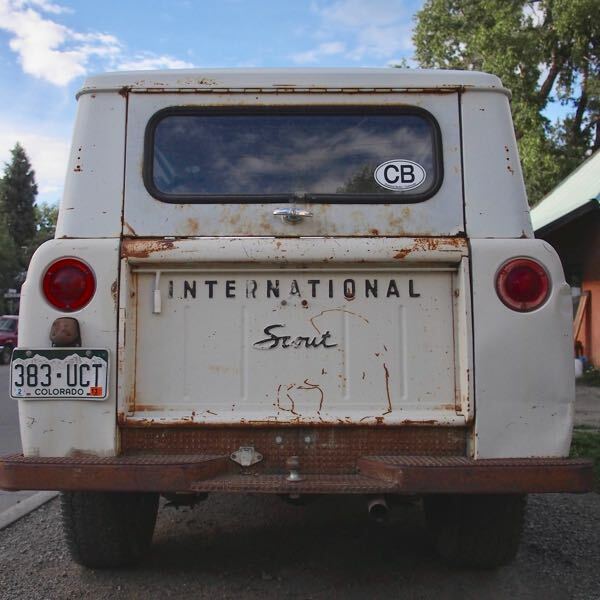 Its comprehensive lack of plastic adds greatly to this old International Scout's enduring appeal. 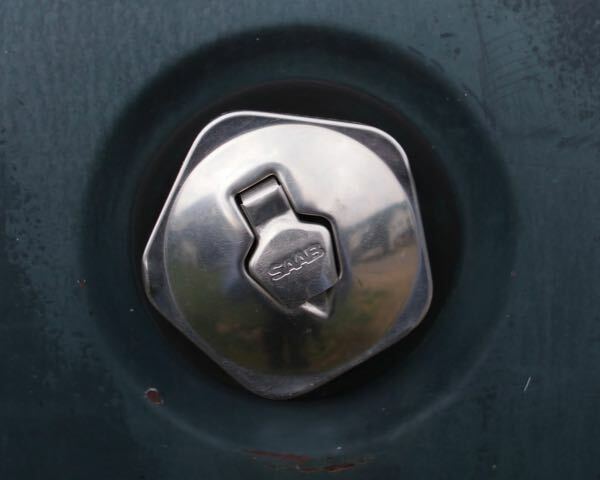 Formed into a delightful and functional form, this all-steel SAAB gascap illustrates well how nice and how enduringly-functional things could be made before molded plastic began dominating the consumer product landscape. 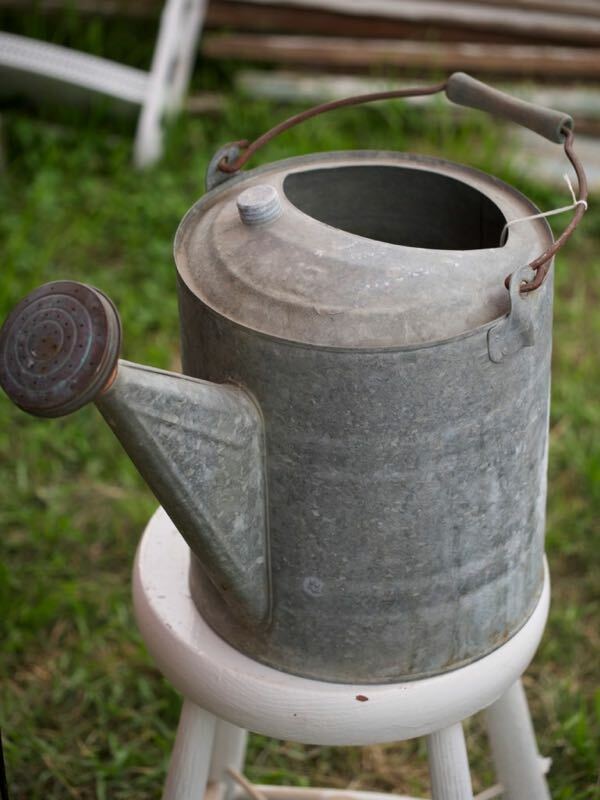 Just think of the many cracked, faded and leaking plastic watering cans that have come and gone during this steel specimen's lifetime. 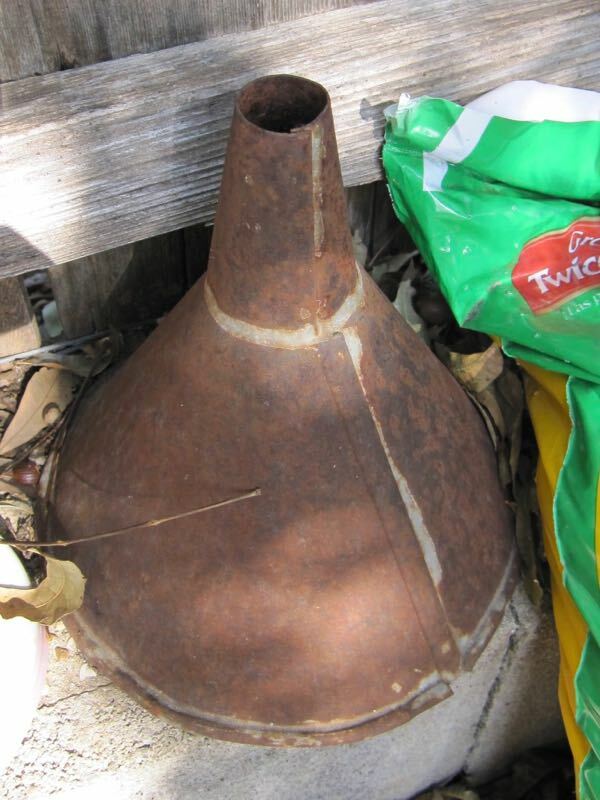 This 30-plus-year-old old steel funnel would perhaps look better had it been stored indoors, but it has held up surprisingly well despite being stored out in the elements. 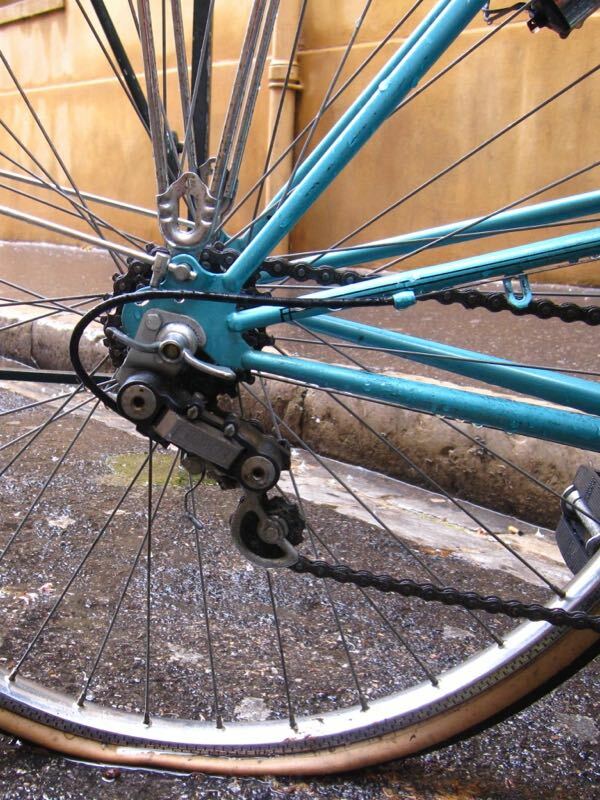 In the 1960s, French bicycle component manufacturer Simplex switched to Delrin plastic for its derailleur bodies, to reduce weight. This switch contributed to the company's future insolvency, because Simplex became associated with making junky components. Another plastic-bodied Simplex rear-derailleur, this one looking especially sad in the rain. 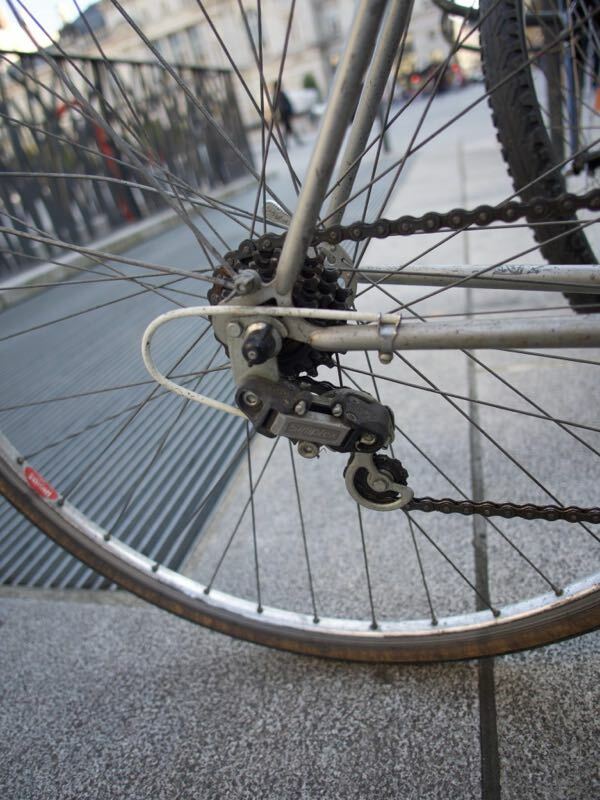 It should be said that some very modern derailleurs are today made with plastic resin, which is disconcerting for aluminum lovers. Home center garden aisles are chock full of plastic garden hose sprayers in multiple formats. Most fail after only a season or two. These all-brass models, by contrast, last and last.